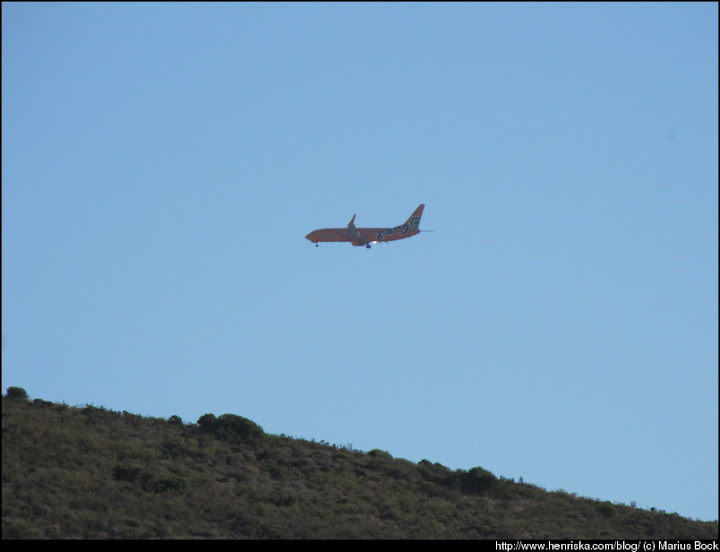 Sometime the planes come in fairly low to land and disappear behind the hill just behind my house. Here is a Mango plane coming in to land. The full set of these photos can be seen in my Picasa Album. This entry was posted in Photography by Marius. Bookmark the permalink.